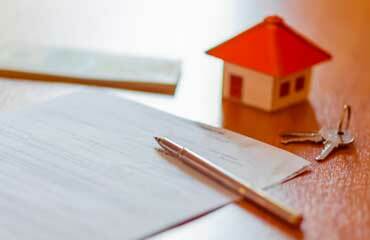 A tenant letter is written by a landlord and passes varying information about the landlord and their tenant. A landlord can write the letter to welcome a new tenant, write the letter as a reference, or they can write the letter as a notice for eviction. No matter the reason for writing the letter, the write must maintain professionalism and a polite tone. Relying on a template or a sample is the best way to avoid making mistakes when writing the letter. A report on the tenancy. Did the tenant pay their bills in time and how did they relate with other tenants in the property? Any complaints from neighbors about the specific tenant. I write this reference letter to confirm (tenant’s name) has been my tenant at (property name), (property address), a (size of the property they occupied). (Tenants name), has been a tenant in the property since (date the tenancy started), to (date of exit). Their last payment was on (date of payment) and amounted to (amount) and was due every (time rent was paid). Over the entire period of the tenancy, he has been paying rent in time. I have received no complaints from neighbors about their conduct in the property, besides their pets were not a nuisance to any of their neighbors. (Tenants name) has received no warning letter or legal action in the entire period of their tenancy. I recommend (tenants name as a polite and respectful tenant; besides, they always pay rent in time. If he chose to come back to the property, I would eagerly accept them. If you might need more information about (tenant name), contact me via (phone number/ email address). I write this reference letter to recommend Peter White as a trustworthy and reliable tenant. Mr. White and his family has been my tenant at Greenhouse apartments, Kimbley road since March 2014. In the entire period of the tenancy, they have always paid their rent on time except for a few cases of late payments. I have known Mr. White to be a polite and responsible tenant. I have never issued a warning letter taken any legal action against him for all the time he has been my tenant. His neighbors have also expressed the same sediments about Mr. White. In case you need more details about him; you can reach me via 517 234 5630.